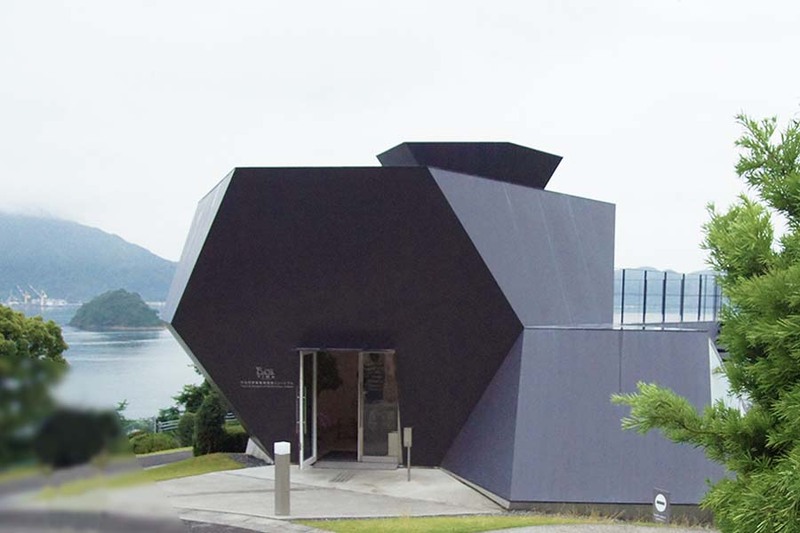 The Toyo Ito Museum of Architecture, Imabari is located on a small, historic island called 大三島 (Omishima), Ehime Prefecture, which is part of the Seto Naikai Inland Sea, Western Japan. 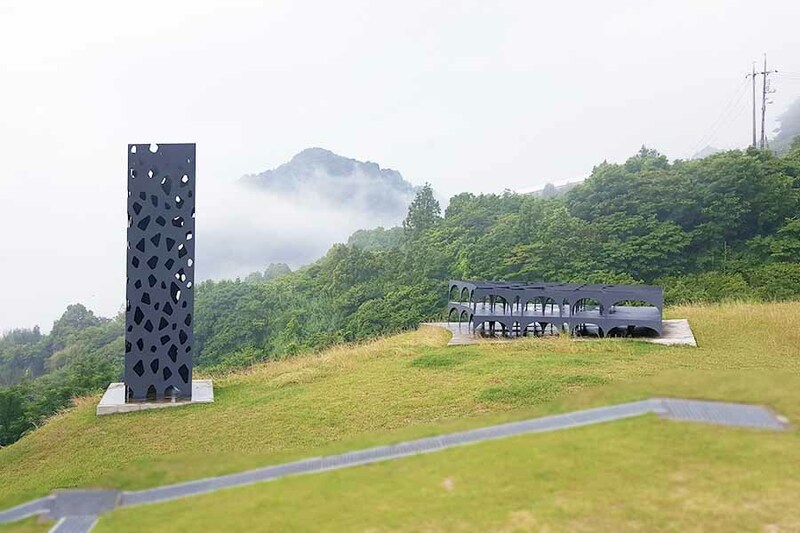 While it may seem unexpected that Ito’s museum is located in a remote, rural town far from Tokyo, he is heavily invested in Omishima because he sees the future for architecture in this hidden treasure that has managed to conserve abundant natural resources, local heritage and a traditional life style, avoiding the massive modernization that has swept away the past elsewhere. 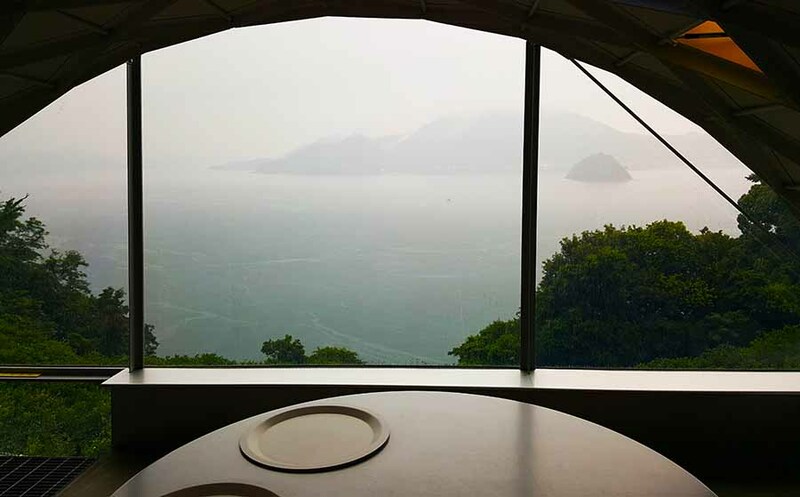 Top: The Steel Hut overlooking the Seto Naikai Sea. The land mass across the sea is a small neighboring island. Depending on the weather, the sea looks green or blue. Bottom: It was raining hard on the day of my visit. Under thick rain/mist, the place looked like an ink painting. Weather changes quickly on an island, revealing the many faces of nature. 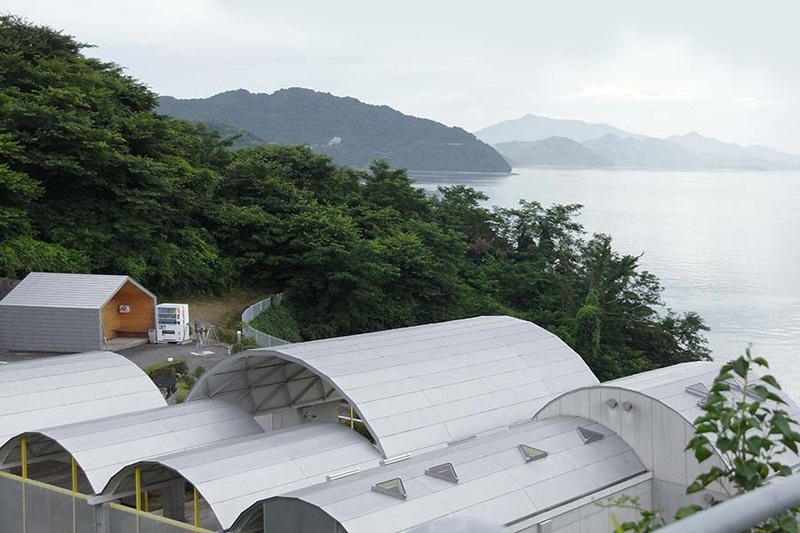 In 2011, seven years after its inception, the museum opened as a facility operated by the local government of Imabari City. 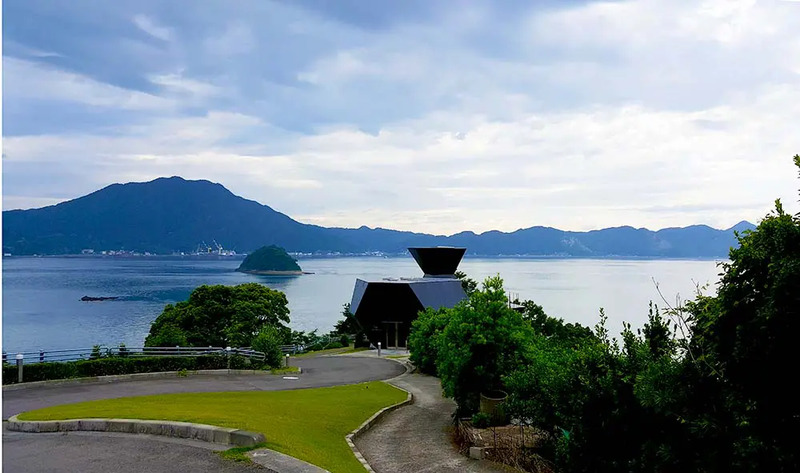 It is located among terraces of tangerine groves that overlook the Seto Naikai Inland Sea in Urado district, in the western area of Omishima. 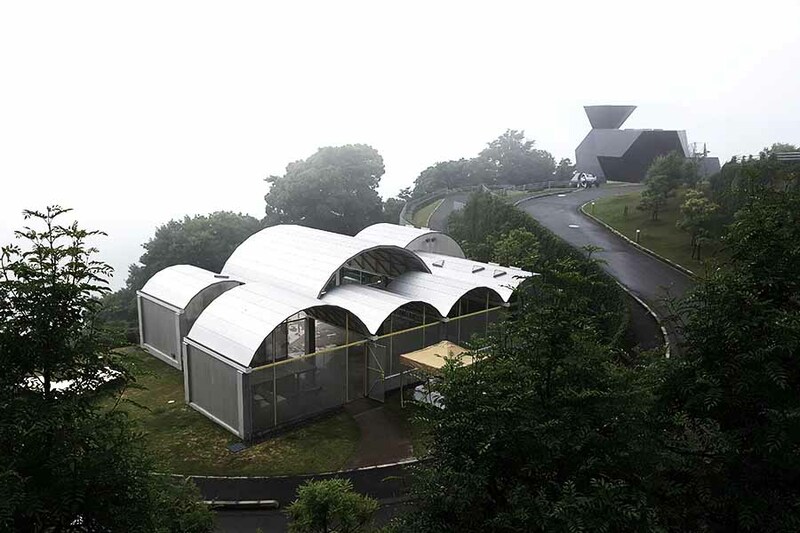 On a pretty steep slope right next to a cliff, Ito installed two relatively small buildings: the Steel Hut and the Silver Hut. Ever since, the museum has hosted various local projects. From the entrance, you go down the slope towards the ocean. 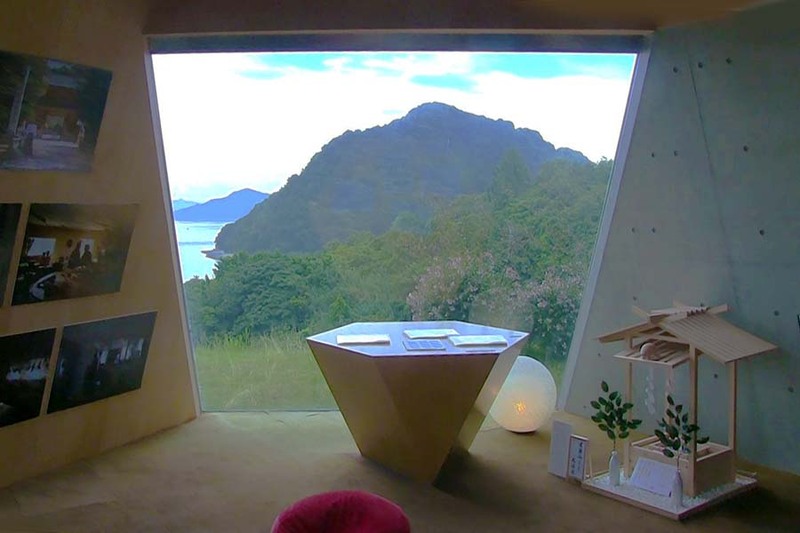 The Steel Hut is at the end of the cliff, overlooking the breathtakingly beautiful Seto Naikai, like a Sphinx overlooking a vast desert. The Steel Hut appears different depending on where you are viewing it from. It is a landmark on the edge of the cliff. Left: Model of the MIKIMOTO Ginza Building, Scale 1/20 and the Tama Art University Library (Hachioji Campus), Scale 1/20. Right: Very small religious statue (possiblyJizo) quietly standing by the models. Jizo was traditionally placed in between our world and mysterious nature (where deities live) so that humans could live in harmony with nature. 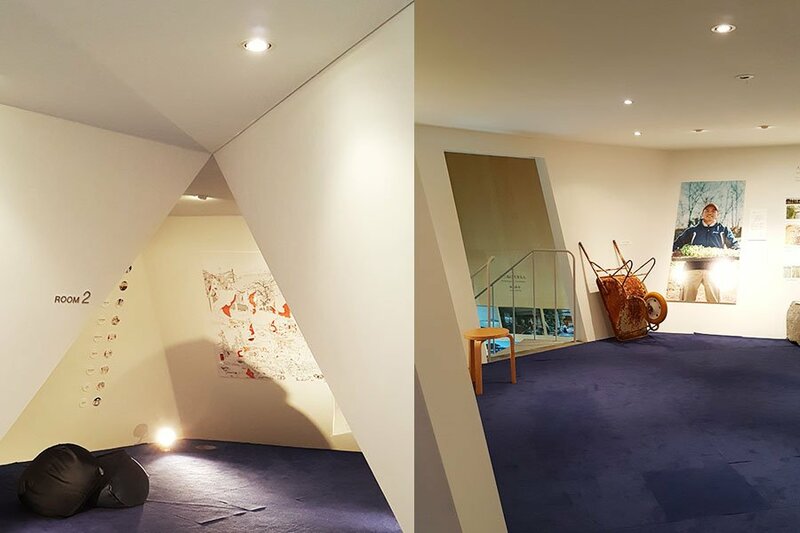 Since rooms 1, 2 and 3 are isolated from the outer environment and from other rooms by slanted, hexagonal walls, you may feel as if you are in a cave or a womb. But when you go downstairs, the room is suddenly open to outside world – and you can enjoy stunning ocean view. The phase/sense of dimension/perspectives change quickly. 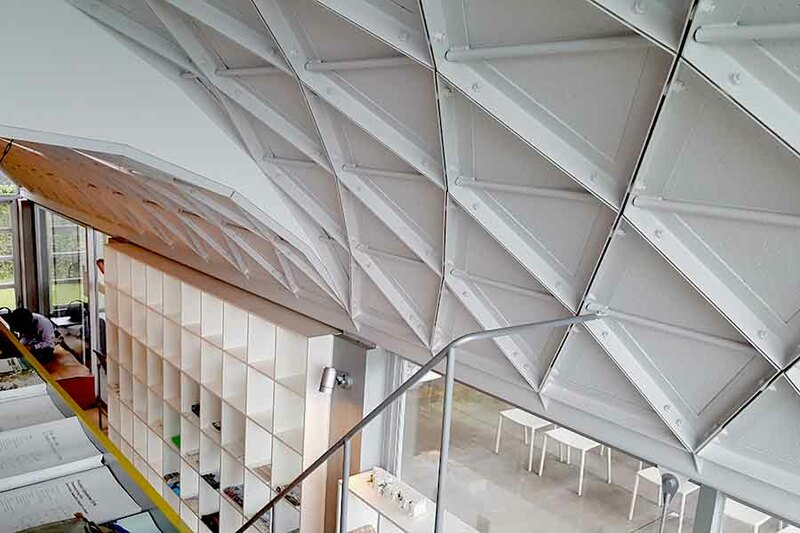 As the name “hut” suggests, this place is relatively small for a museum (about 2,000 square meters), but because of the sequence of tilted walls that change their openness/closeness rapidly, you are naturally focused on the exhibits in front of you. The exhibition area (rooms 2 and 3) of the Steel Hut. 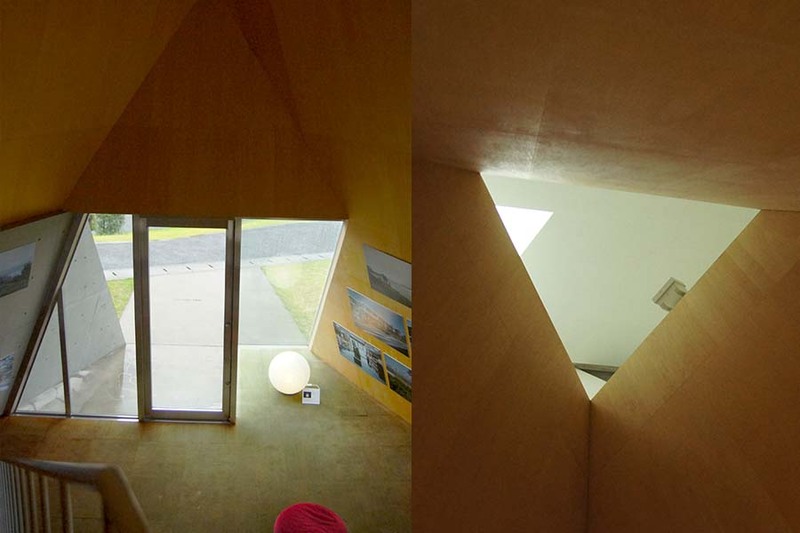 The walls are slanted at different angles to connect the rooms. It is as if they are cells bonded without any pillars. The lowest floor, or the basement of the Steel Hut, which has doors/windows that open up the room toward the outside environment. The room hosts the model for the “Relaxation Park Torrevieja” project in Spain. It is also interesting to see that the interior of the building is “closed” from the surrounding environment, whereas the exterior is completely exposed to raw nature as the Hut sits on the edge of the cliff. In order to access the Silver Hut, you make a big left turn from the Steel Hut and go further down the slope. 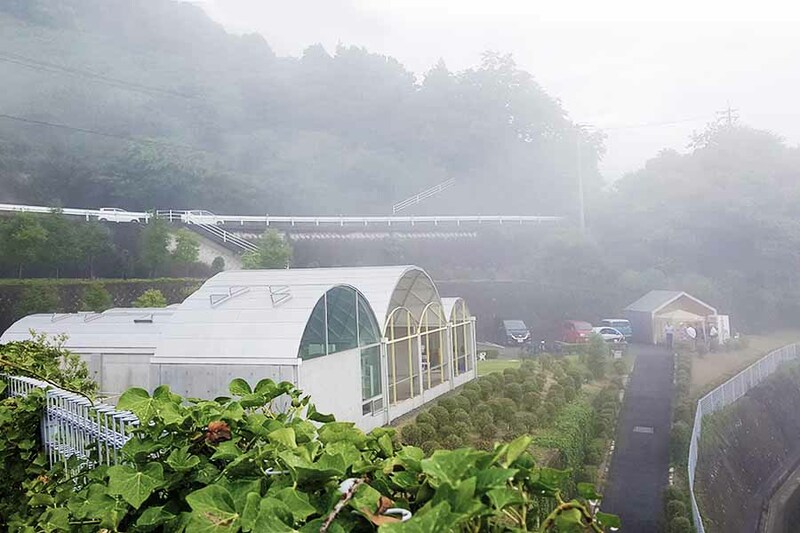 As people traditionally used the terracing system for agriculture on this island to overcome the lack of flat land, it is as if this museum was built embracing the terracing system. Facing the glassy ocean, the Silver Hut looks like a creature (a large insect?) that flew from somewhere and perched on the cliff. On a rainy/foggy day, it dissolves into the environment as if it’s camouflaged. 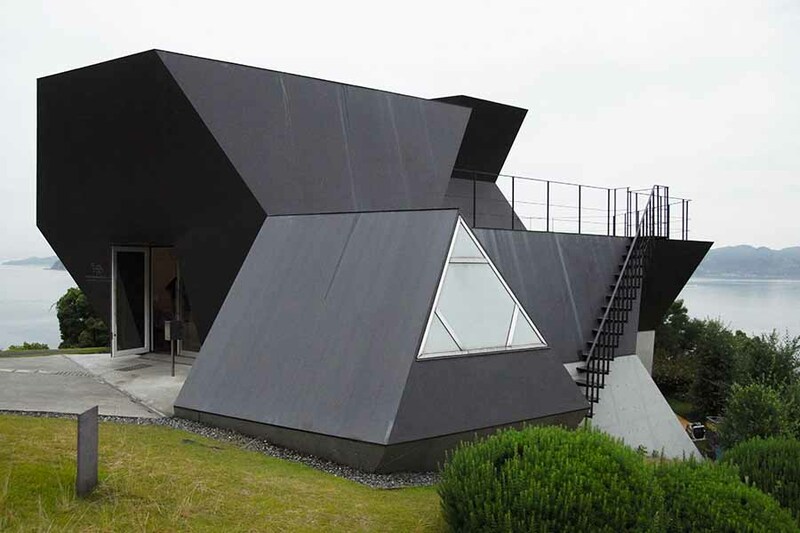 Originally, the Silver Hut was Ito’s own home built in 1984 in Tokyo. 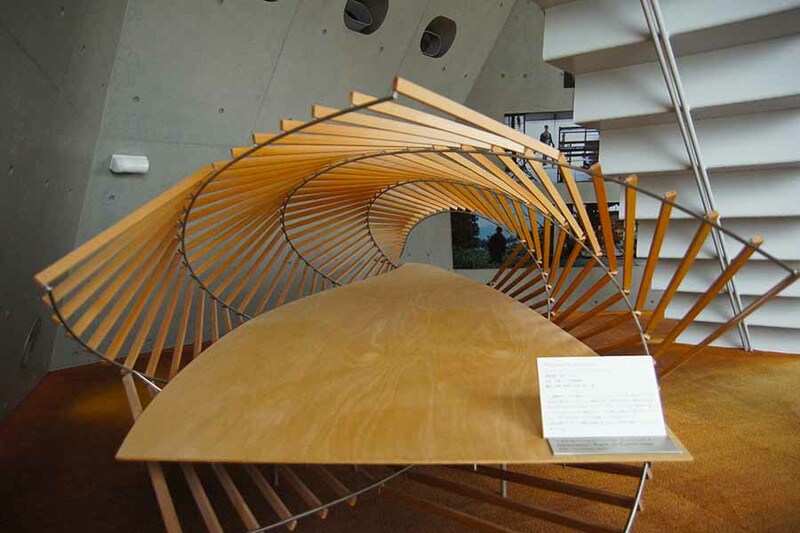 Received with great praise, it won the Prize of the Architectural Institute of Japan for Design in 1986. 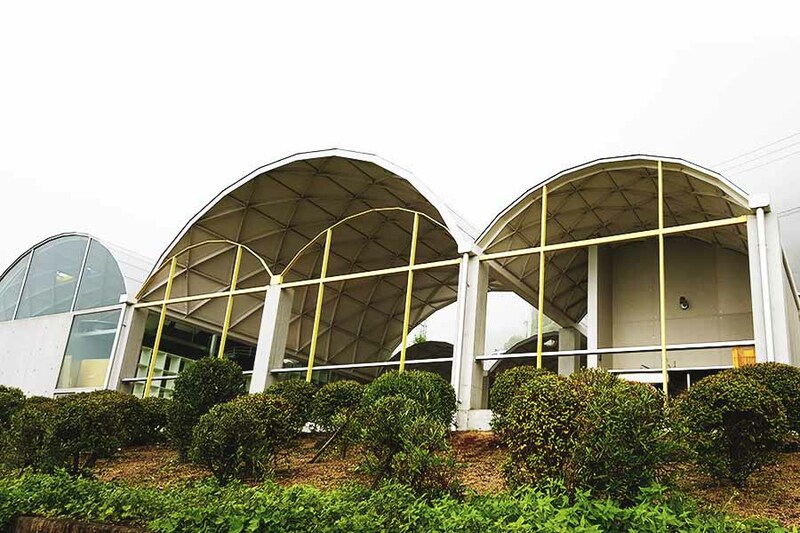 It is a collection of small residential units connected by a patio, and the entire building is covered by vaults that come in different sizes. 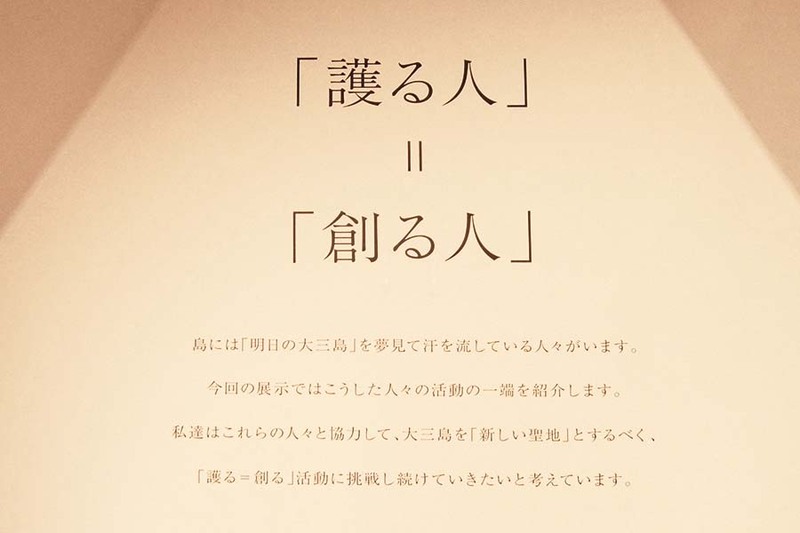 At a seminar titled “The temporariness in architecture” in 1987, Ito talked about his peculiar house: “First, I thought about various activities that happen at home, such as cooking, eating, relaxing or sleeping. For example, a kitchen is a work space that offers utilities needed for cooking. 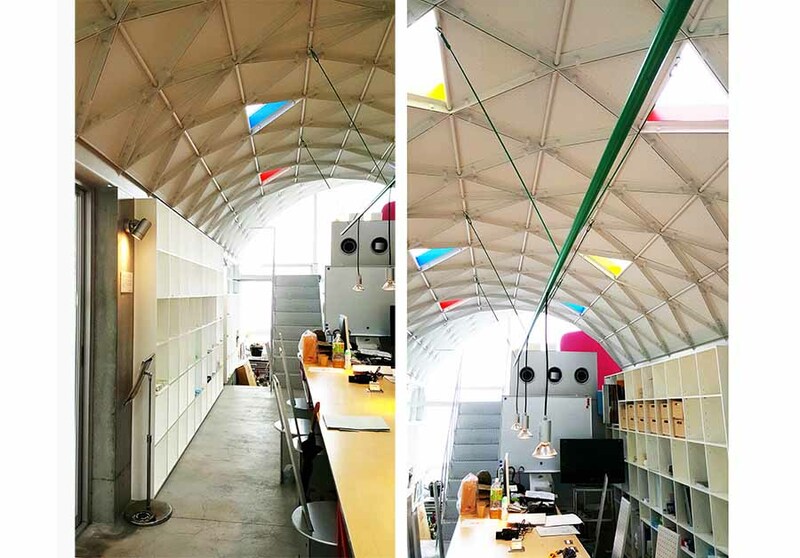 I wanted to envelope each of such work areas with something light and floatable like fabric.” He attempted to adopt something as rudimentary/fundamental as the floating houses on rivers in Southwestern Asia, or a teepee made by Native Americans, but placing it in the middle of urbanized central Tokyo. 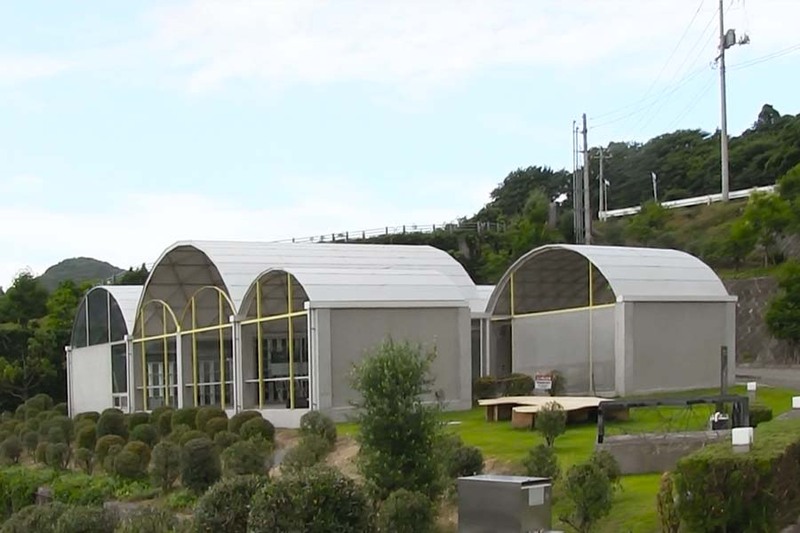 After the house was decommissioned in 2010, it was reconstructed here in Omishima to become part of the museum – to host various events, workshops or classes. Here, nested in nature, the building looks as if it was built for this place. The lightness, temporariness, openness, neutrality and edit-ability seem to be what an event venue needs. The Silver Hut is so open to the surrounding environment that it’s easy to forget that it used be a house for Ito’s family. 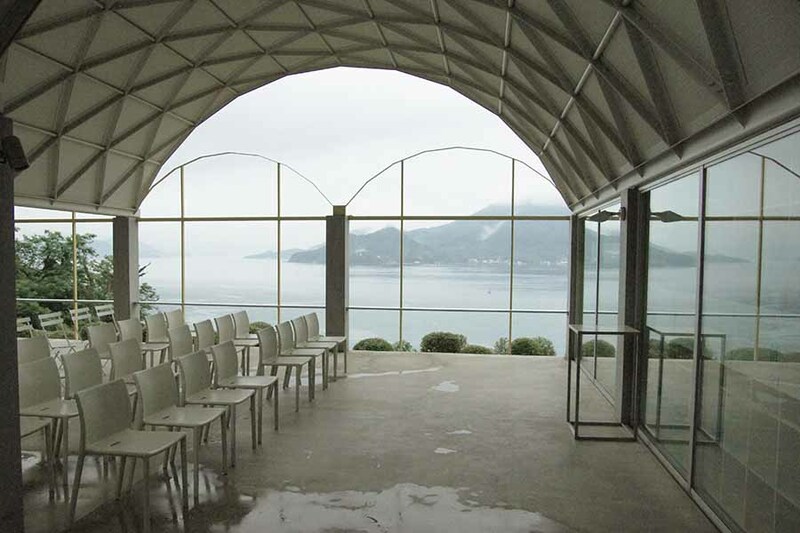 Now on Omishima Island, you can enjoy the beautiful view no matter where you are in this building. The vaults and the roofs. 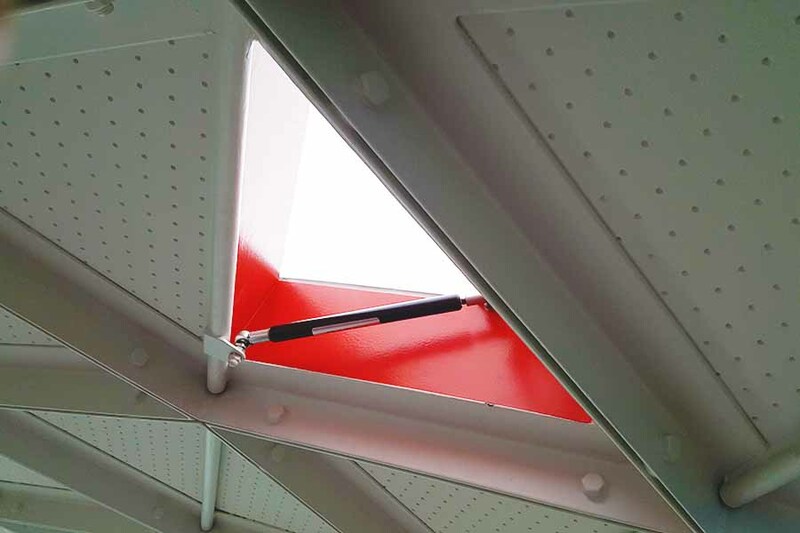 The roofs were originally constructed by manually connecting diamond-shaped frames that came in 60 cm to 100 cm lengths. Small units weighing 20 kg. The triangular windows were originally designed as auto parts. The interior of the Silver Hut. 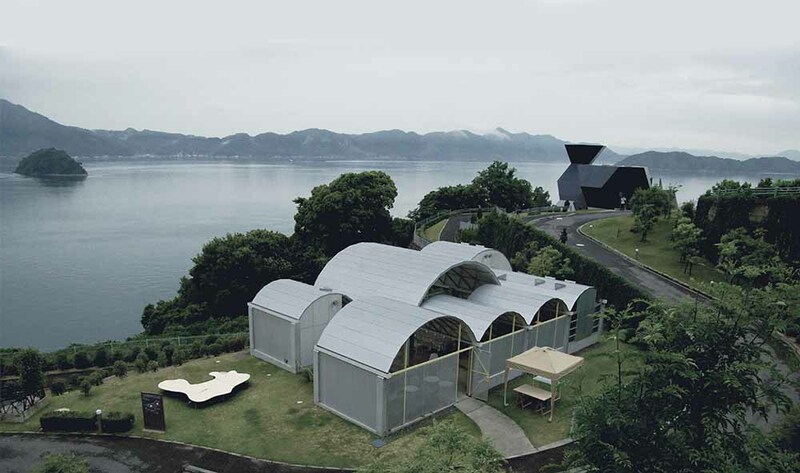 The library archive includes 100 plans/documents/presentations Ito prepared including the White U, the Silver Hut, the Sendai Mediatheque and the Tama Art University Library. 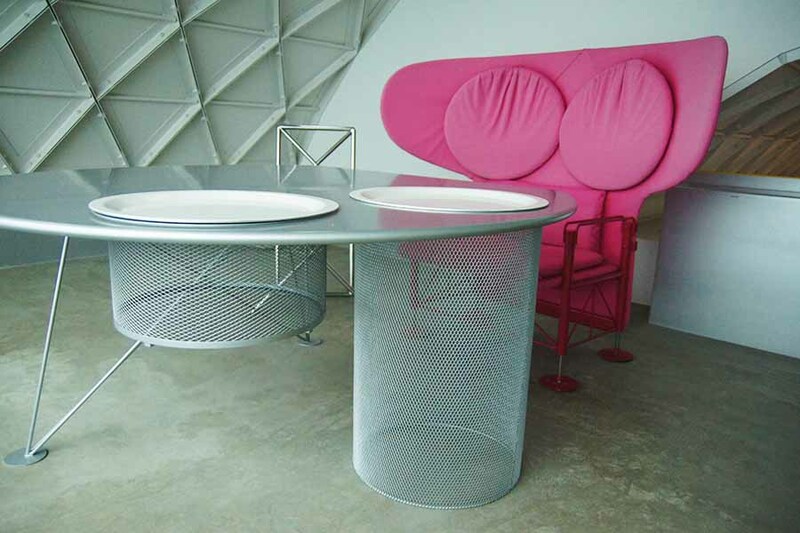 The original furniture designed by Terunobu Ohashi. 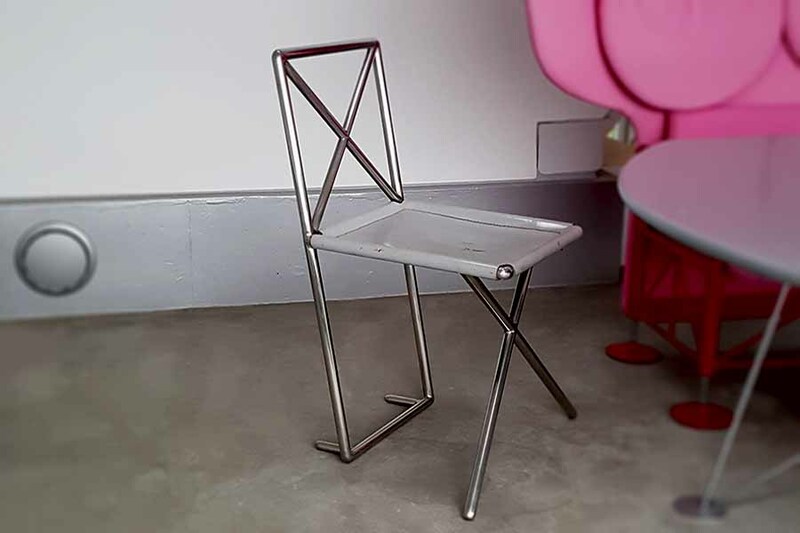 After studying architecture in the 60’s (he was mentored by Kazuo Shinohara), Ohashi became interested in furniture. 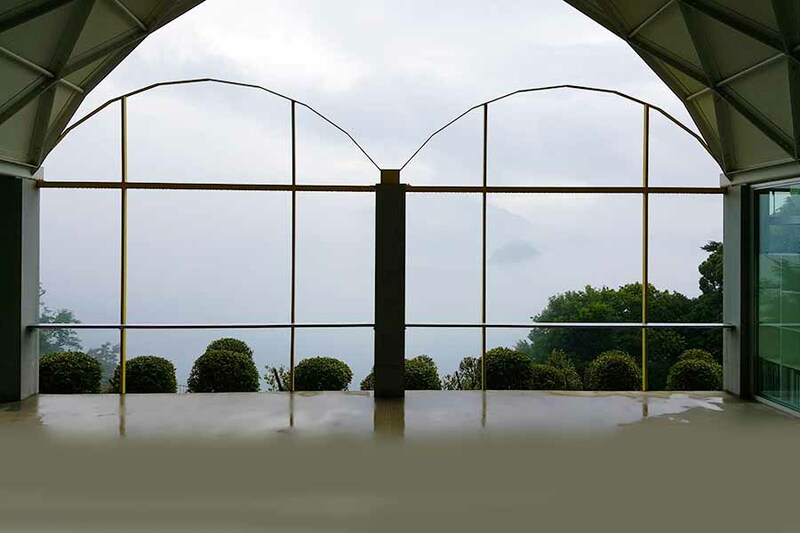 He designed for many contemporary architects including Toyo Ito, Kazunari Sakamoto and Itsuko Hasegawa. As mentioned earlier, Ito is invested in and committed to Omishima as if it were his second home. He is involved in various projects to re-invigorate local communities. 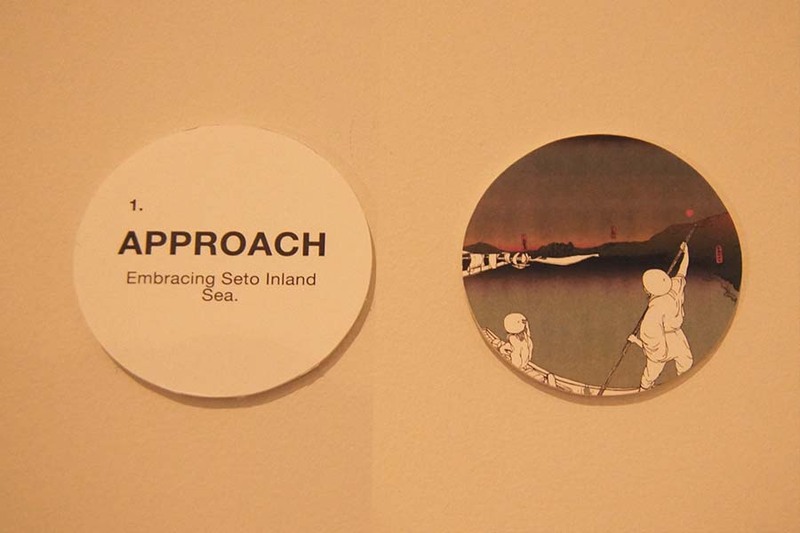 The exhibition “Protecting = Creating the Sacred Island of Omishima (through June, 2019) showcases major ongoing projects. 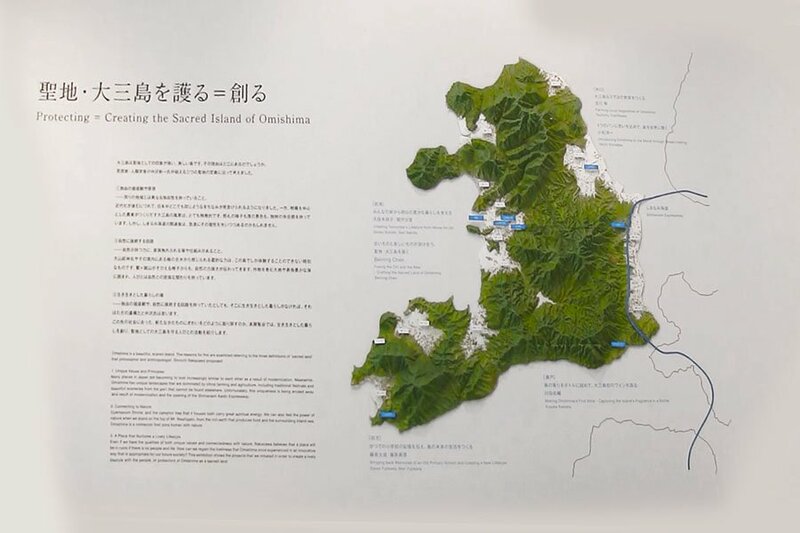 Left: The map of Omishima island, which exhibits a complex geographical formation. 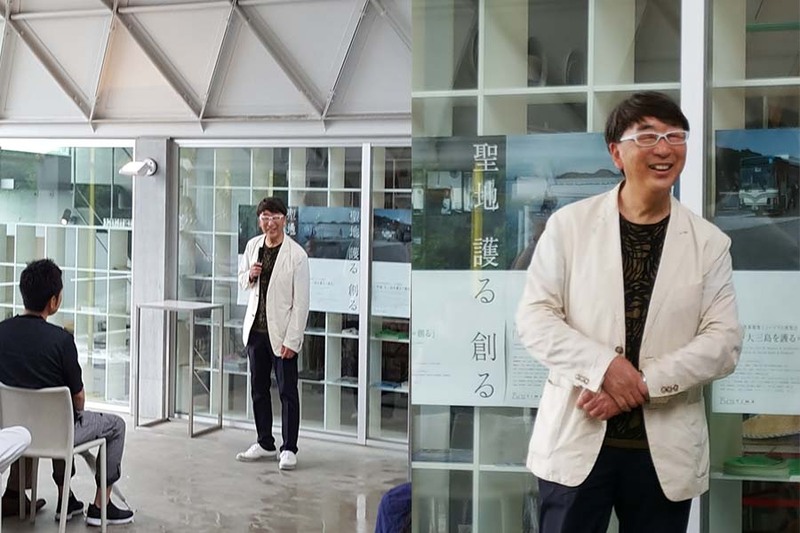 Right: Toyo Ito addressing the attendees at the opening ceremony of the exhibition at the Silver Hut on June 30, 2018. It is critical to remember what Ito means by “protecting = creating the sacred island” – “sacred” is the keyword here. In his dream “revitalization” blueprint, conventional economic developments such as inviting companies to build offices/factories or shopping malls to create jobs, or develop touristic attractions to lure visitors, are NOT part of the plan. Not at all. 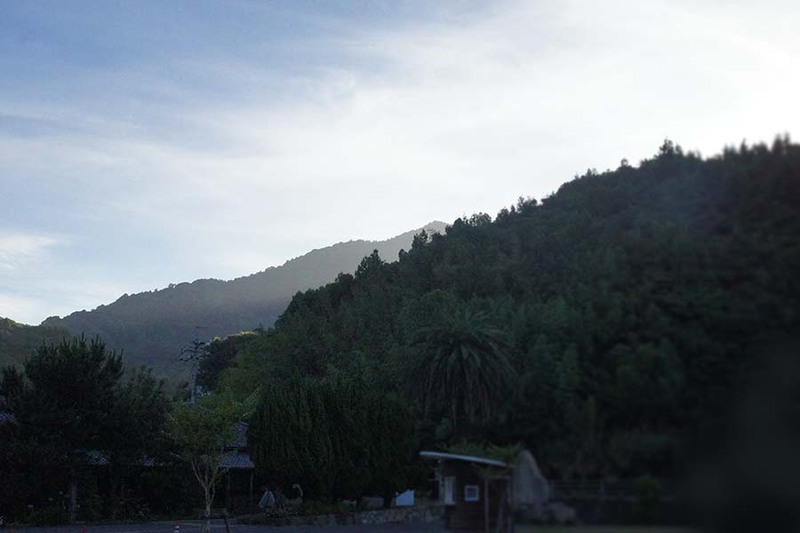 Instead, he vision is re-imagine Omishima leveraging its powerful natural heritage. 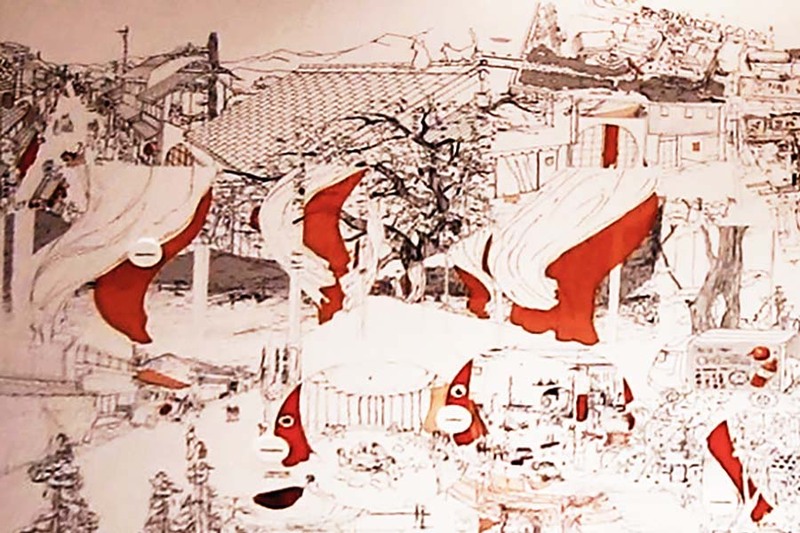 Bottom left: The Oyamazumi Shrine is the center of the sacred island of Omishima. The shrine is believed to have been built in 594 AC to celebrate the gods of mountains, oceans and war. 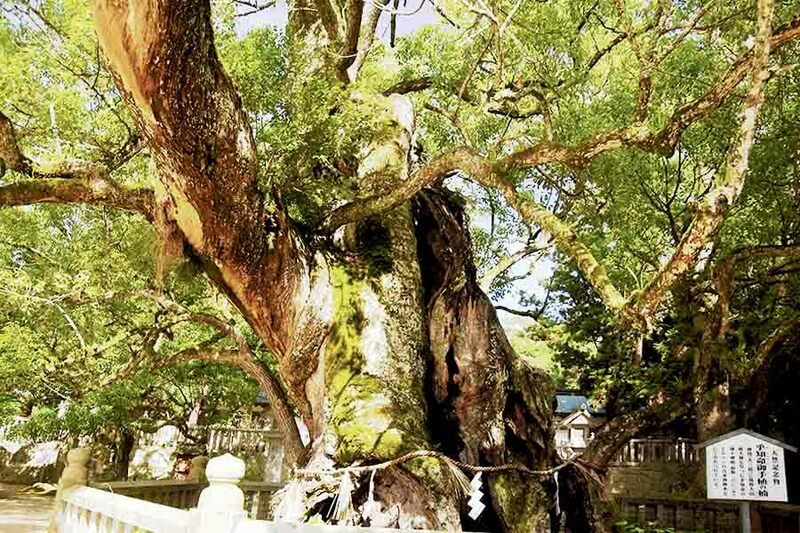 Bottom right: The “sacred” camphor in the shrine is believed to be 2,600 years old. 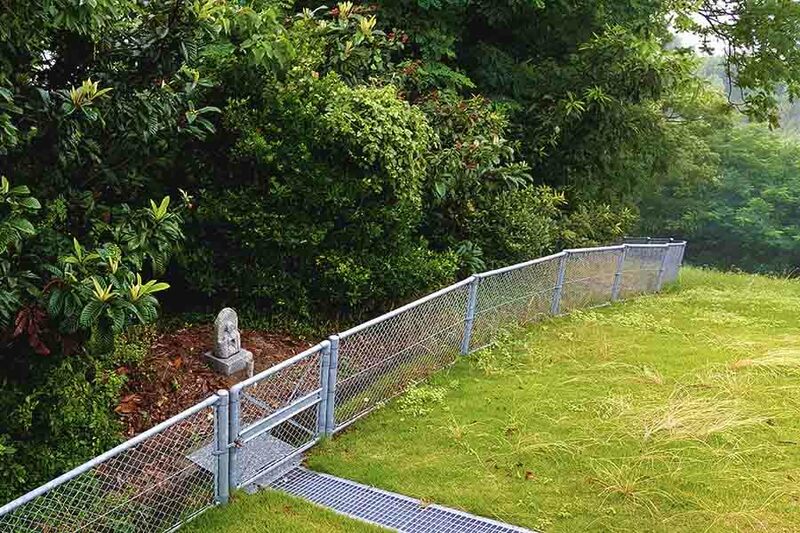 The interesting thing about the Japanese “聖地” is that it’s not really about preserving the natural environment alone – it has also about a place for people to live. For thousands of years, people in “sacred places” have developed special channels to connect with nature that remains at the heart of their community. Such channels have been maintained through locally unique traditions, events, rituals or customs that honor a mutually-respectful relationship between humans and nature. 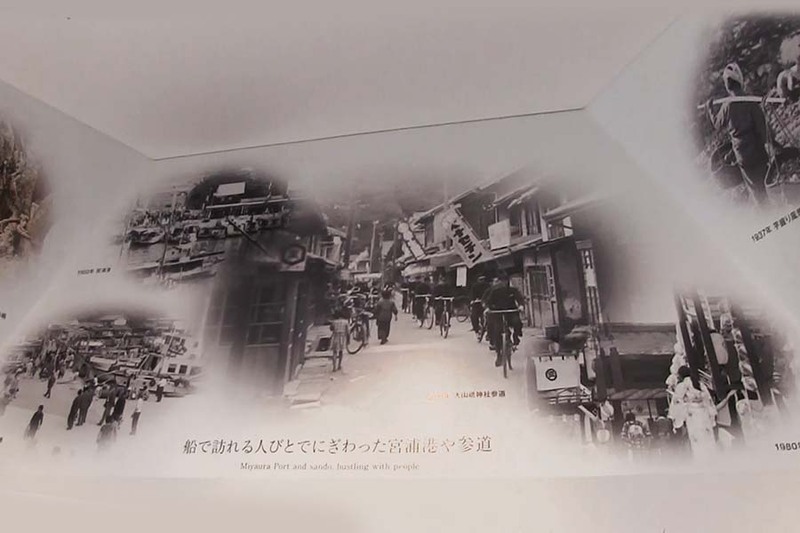 It is that heritage that has made “聖地” culturally colorful and vibrant. But heritages do not exist to be efficient. 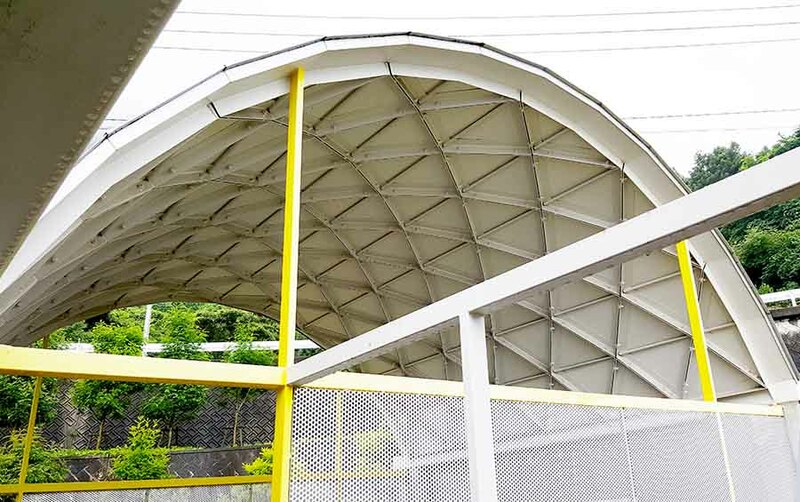 Everywhere in the world – including Omishima – traditions have been increasingly been swept aside by big money and state-of-the-art technology that make every single community look similar by installing the same kind of concrete-made, rigid infrastructure, buildings, facilities and standardized services. The intro to the exhibition. 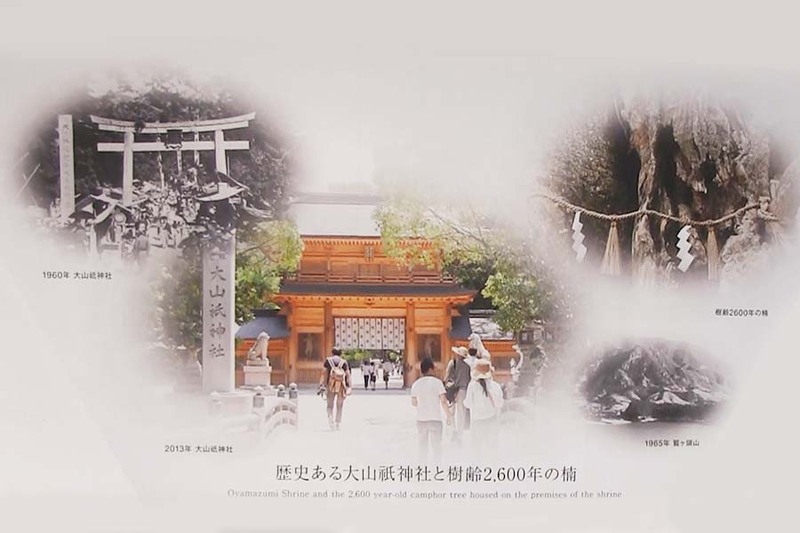 Top left: Oyamazumi Shrine. Top right: The old downtown right next to the shrine which, decades ago, used to be full of people. Bottom left: Terraces of tangerine trees used to be everywhere, providing revenue for many local people. Bottom right: Young people are re-imagining and creating their own jobs, leveraging local heritage. 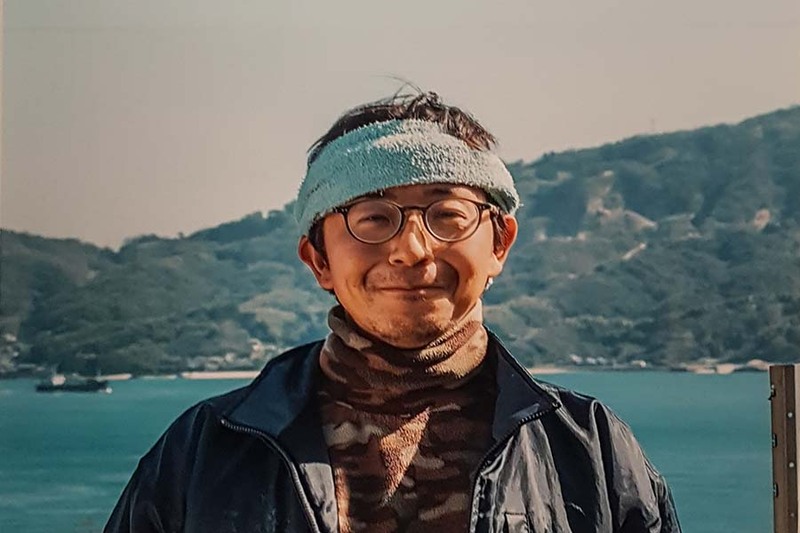 Ito’s dream is to help support Omishima to become the “best island to live,” which is self-sustained. 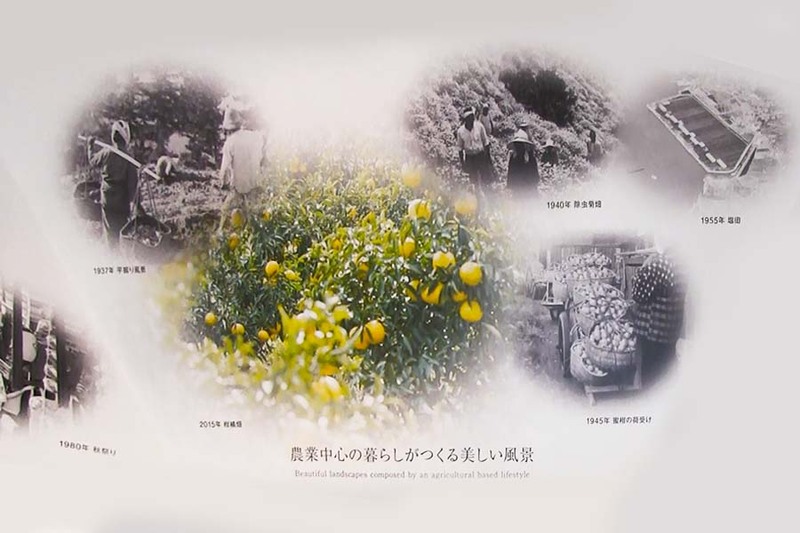 Thanks to the mild climate, Omishima is suitable for many produces including citrus. But since it lacks contiguous flat land, the products can’t compete with cheap imports. Many orchards and farms have been abandoned. 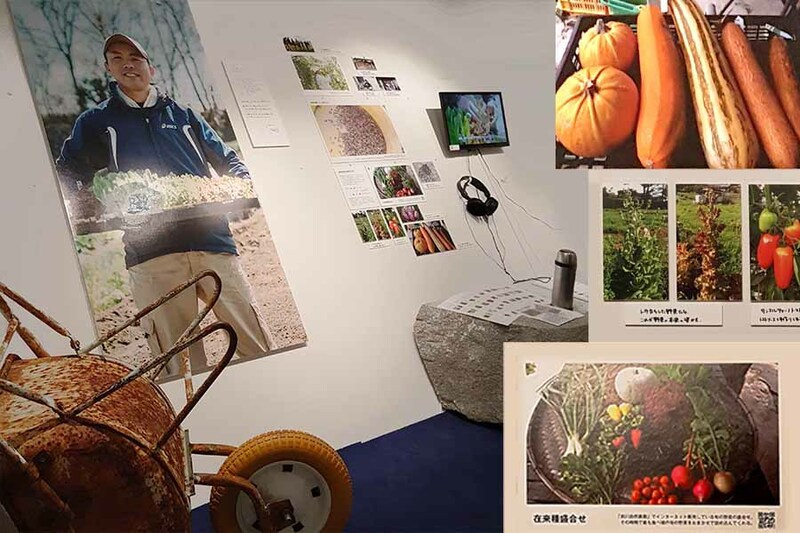 But if creative ways can be found to make Omishima products attractive again, the land has the potential to sustain local communities. Although it is positive to see an increase in the number of visitors to the island, Ito is more concerned about providing fulfilling and happy lives for the local residents. And he believes that reviving small-scale agriculture is critical. Top:Yusuke Kawada of the Omishima Minna no Winery. 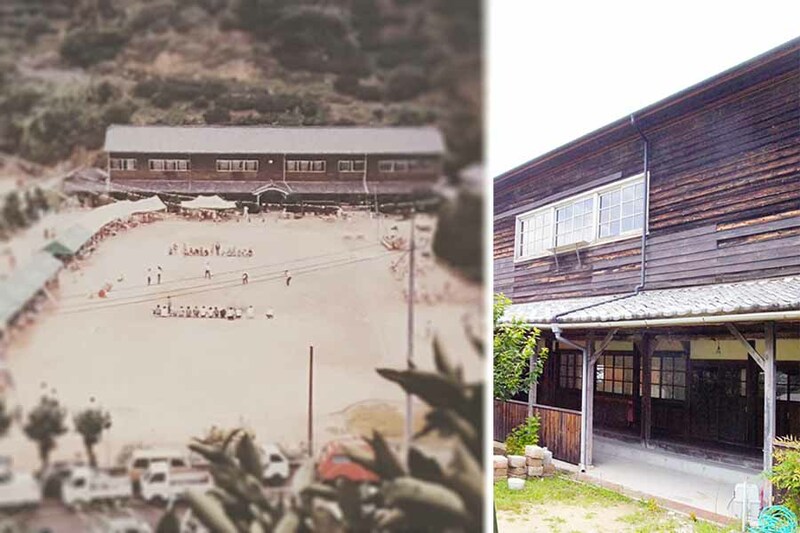 He moved to Omishima to start a winery by reviving abandoned tangerine orchards. 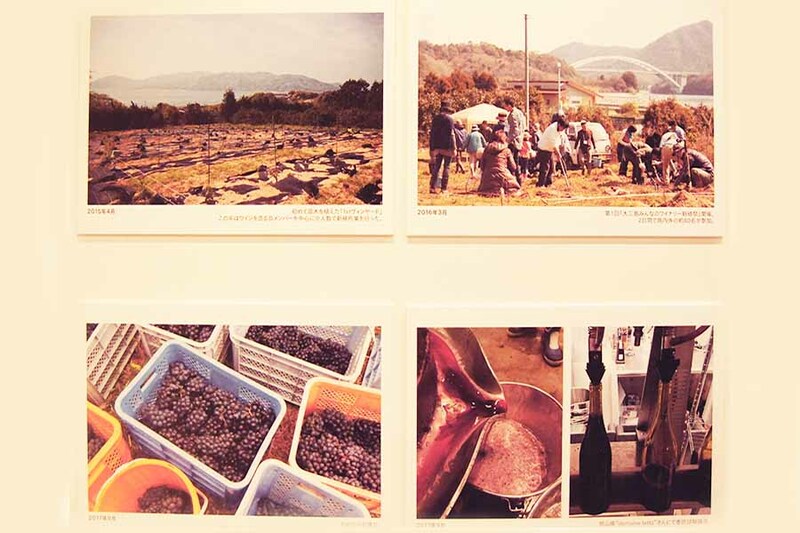 Bottom: Tsutomu Yoshiikawa (organic farmer) grows unique vegetables including local heirloom species. 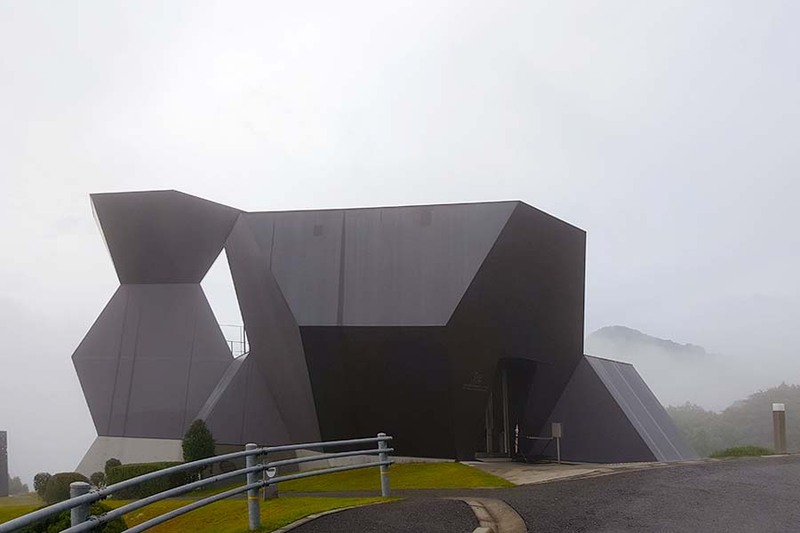 In terms of architecture, Ito also designed the ”Ken Iwata Mother and Child Museum, Imabari City,” which is located right next to the ”Omishima ikoi no ie,” accommodations in a renovated elementary school that had to close down because it couldn’t secure enough children to attend. 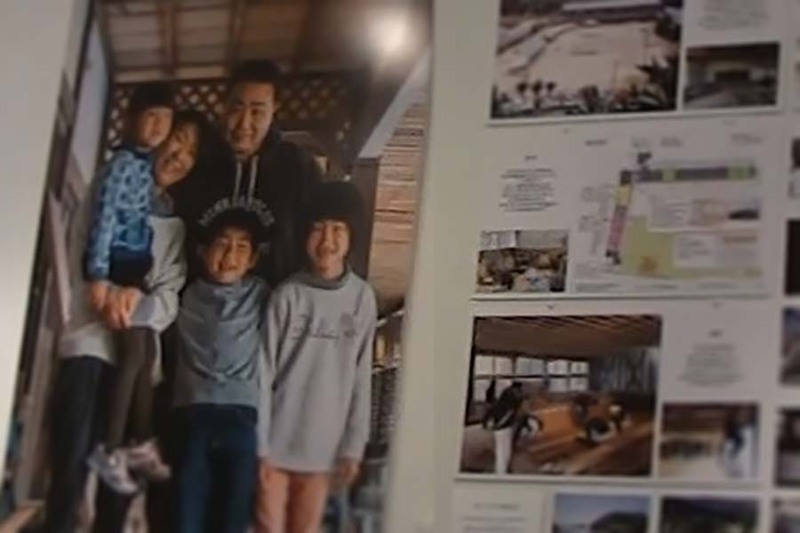 Ito and his NGO team helped with the ikoi no ie renovation, and the place just re-opened in April 2018. 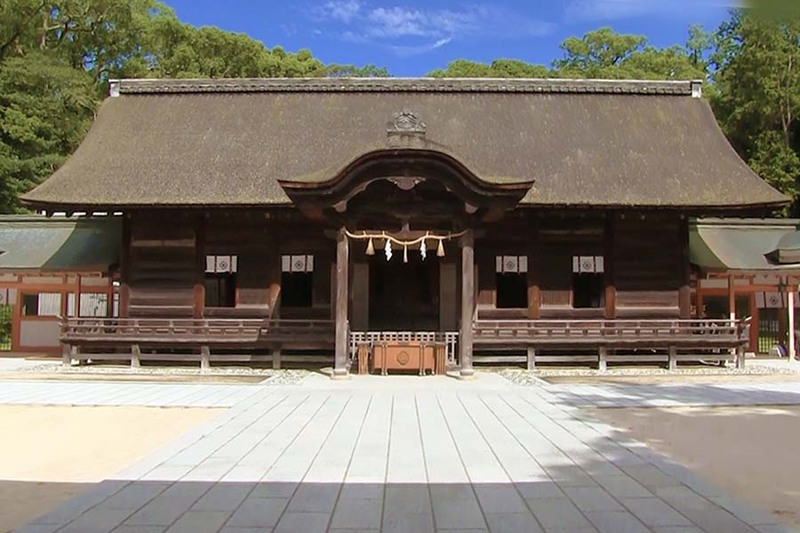 They also renovated an old administrative office in downtown near the Oyamazumi Shrine. 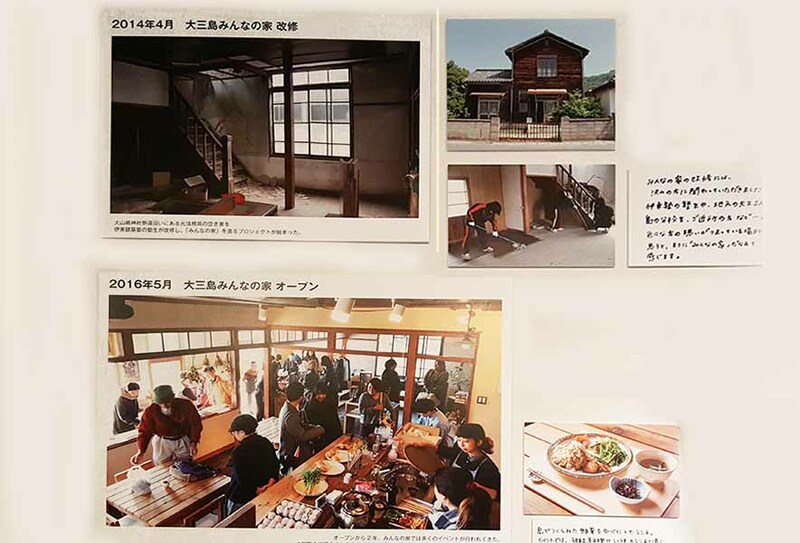 Named Omishima minna no ie (Home-for-All), the place offers food, a venue for local events and opportunities for people to mingle. 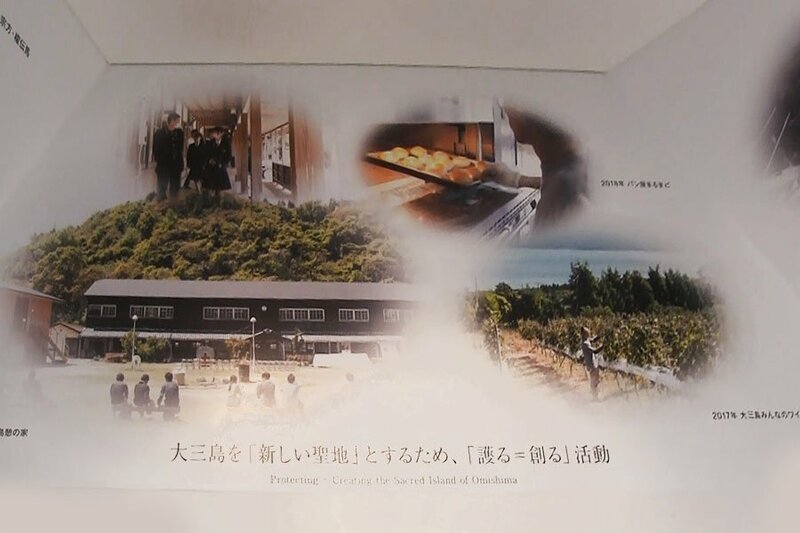 Top left: The Fujiwara family runs the “Omishima ikoi no ie,” accommodations in a renovated elementary school. 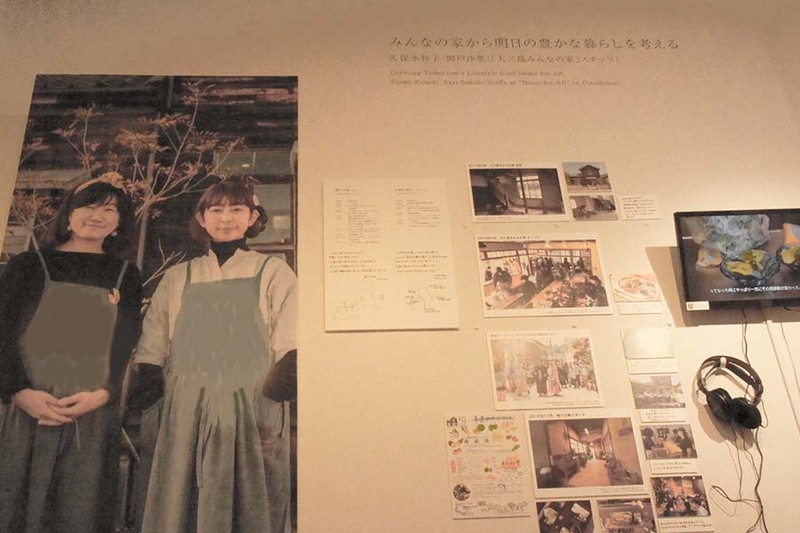 Top right and bottom: “Minna no ie (Home-for-all)” offers high quality local food, and serves as a community space where people can mingle and host events. 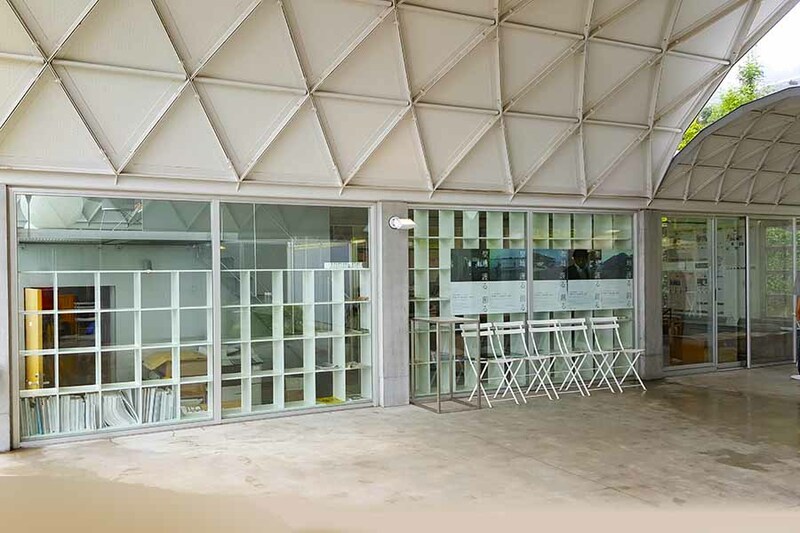 Ito’s team consists of a wide variety of professionals including architects, designers or carpenters. Even students from Harvard Graduate School of Design were involved. 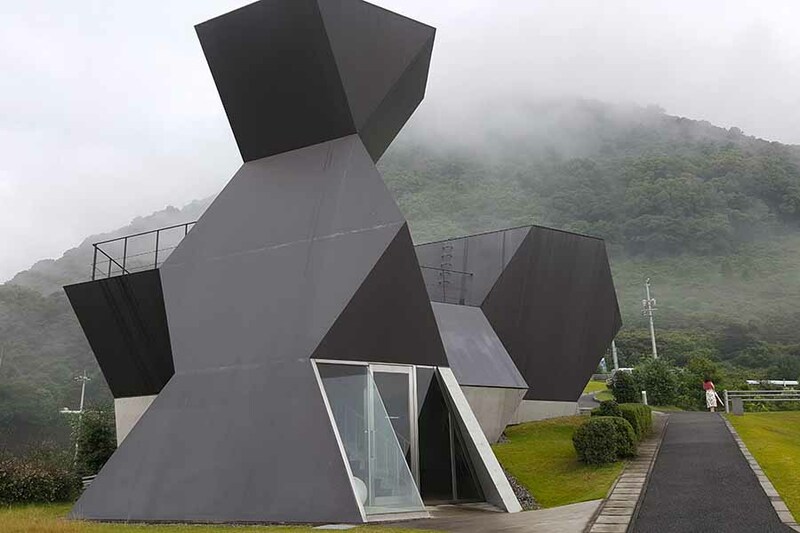 As part of the program at Harvard named “ITO STUDIO,” they came to Japan and visited Omishima to produce pieces of art. Right: Being creative can take so many forms, and it’s all relevant when the creator is engaged and involved. 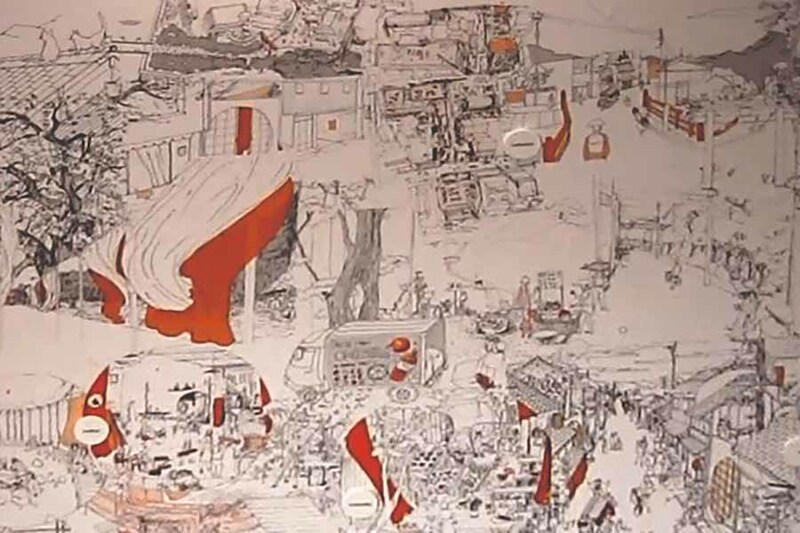 If you came here to find Ito’s progressive and experimental works, you may feel that you didn’t find what you were looking for. 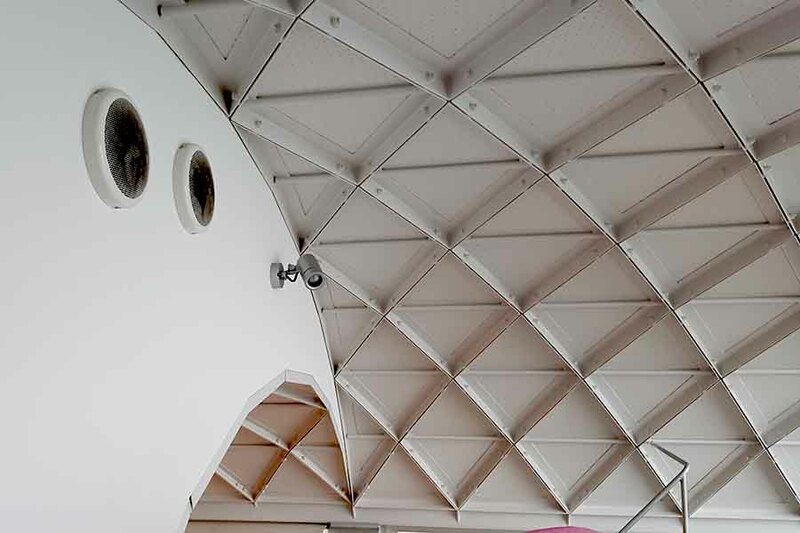 But if you take a step back, you may realize that we judge architecture mostly within the context of modern architecture, which is almost always focused on design-centric, complex urban projects created by leveraging large amounts of money, state-of-the-art technology and well-known architects. 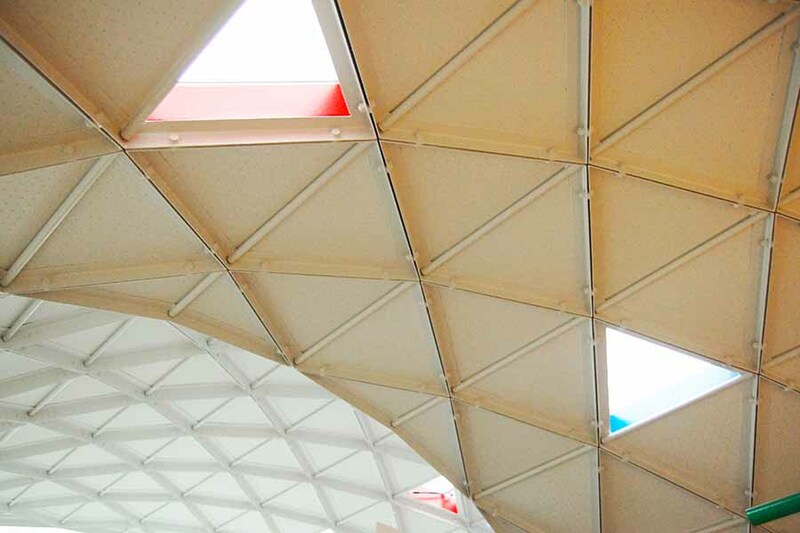 What has happened is that Ito has decided to say good-by to the way modern architecture operates today, after decades of critical works that question what architecture means to our society. It is not that he has lost his progressive creativity, but he is now seeing the potential for such creativity at the heart of nature where each individual – not just architects or big companies – has to be proactive and creative to find his/her own way to live in harmony with nature, in order to make the most out of it. 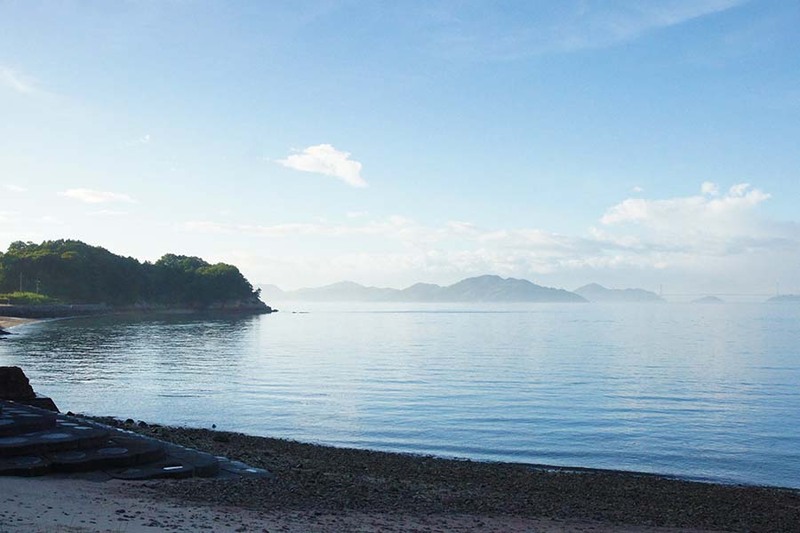 On this small, remote island, Ito is now tackling much larger and more fundamental questions, which go far beyond modern architecture as an industry or a professional field. 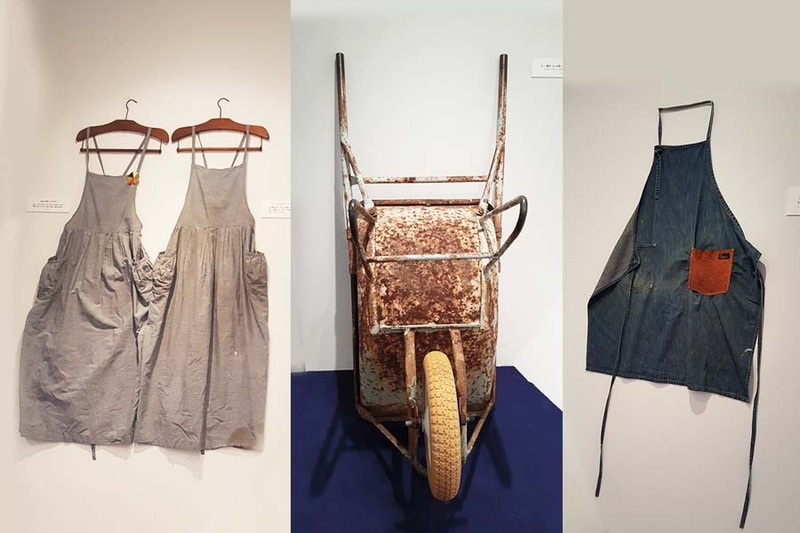 That is the reason why this museum focuses on peoples’ lives – which may look old-fashioned, simple and labor-intensive at first – rather than big-ticket, futuristic architectural projects. 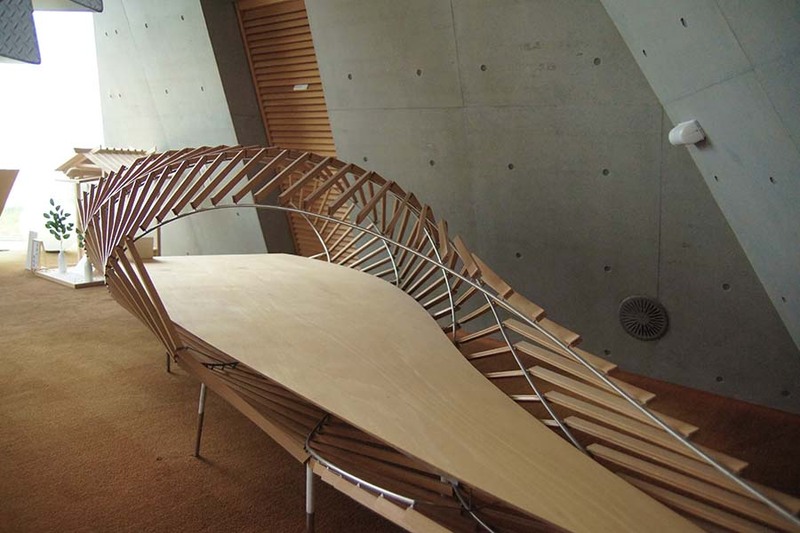 If the original goal of architecture was to help make people’s lives more rewarding and fulfilling by bridging the natural and the human in a mutually-respectful way, here in Omishima, Ito is attempting to reverse engineer architecture from the point of view of people’s lives and happiness. And the definition of “people” could definitely include you, if that’s what you want. Rudimentary tools for work suddenly look so relevant to re-define and re-imagine what happiness should mean for a local community. It’s not necessarily the cool job title or the six figure salary that will really satisfy you.